We continue our publications from the rich trove of articles kindly provided by Carlos Perez from belliludi.com. 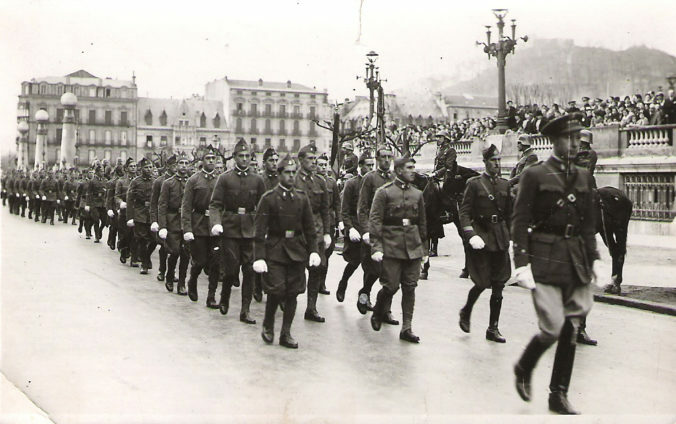 An excellent overview on the state of Spains Army at the outbreak of the Spanish Civil War, we have Alberto Arzaneguis essay on The Spanish Army in 1936 in the department of Order of Battle research. Additionally, a kind gamer provided us with an Index of Gary Stagliano’s newsletter Nuts & Bolts, which we’ve also published today. The individual game indices are also updated, so you have comprehensive reading lists to every game. Enjoy! Carlos Pérez was one of the most active spanish Europa-players. His historical interest mainly lay with the Spanish Civil War, and at his website belliludi.com he assembled an impressive collection of essays on the history of the civil war, written by internationally renowned military historians such as Brian R. Sullivan and Klaus Maier, to name but two. Since Carlos does not have the ressources to keep his website updated, he recently gave permission to the General Staff to reproduce some of the essays and articles here, an offer that we accept with deep gratitude. So in the following weeks we’ll add the Europa-related articles as well as selected essays to generalstab.org. Make sure to thank Carlos if you see him! First to go online is an essay by Williamson Murray titled The Consequences of Italian Intervention in the Spanish Civil War. While the generals talk I’ve slowly reached the limit of this years ideas and plans, and/or the limits of what I can post online without running afoul of copyright laws. This is probably a good moment to repeat my mantra: This website lives by its contributors. If there is anything online you think violates any copyright laws, I would be very grateful if you let me know, and I will immediately remove the offending content. I do not make a single cent from this website, so I would very much like to avoid legal issues. Line of Communications pages online – Luiz Duartes fanzine, despite folding after only six issues for the want of submissions, was the indian summer of Europa and the best attempt of putting the game system on a footing without a publishing game company. Seems so long ago. Two more links, one a more self-referencial (and incomplete) bibliography of publications by the Great General Staff (obviously none of them related to World War Two, but some still excellent sources, most of them available online), the second one to a similar, but way more sophisticated project collecting links to books available online about german and prussian history. And Prussian history comes with a lot of military history, so even though the books are german, even some of the map sections alone are worth a look. Referencing the games is mostly done, means most games have a section listing all articles devoted to the game. Created an Europa Modules page to better distinguish between Europa games and Europa modules, added a page for ¡No Pasaran! to it. Reworked the pages for Balkan Front and A Winter War to improve layout and readability, added some images here and there. Added Downloads – PDFs for the four Orders of Battle we have, and some for the Great War Ground rules. More to come. In former times that would be enough updates to last me a whole month or longer… But there are some things I just want to finish up. A big thanks today goes to Stefan Farelly, who sent me scans of the War in the Desert Charts and Counters. Another gap filled on the way to a complete digital presence of Europa on the webs (minus the sensitive copyrighted parts, of course). Thank you, Stefan! Also, I’ve progressed to No. 52 in the TEM index, and am done with uploading, renaming and tagging the images for Gregory Bartels newest game report – so I should be able to publish this in the next weeks. Aas far as I can tell now, after that there will be a break in available material, so do not expect too many updates ion the future. To start the New Year properly we have a brand new game report of For Whom the Bell Tolls, written by Ken Newall and reporting from his solitaire game featuring a variable start to the revolution. Thanks to Ken who allowed me publishing his reports here. Enjoy the read! 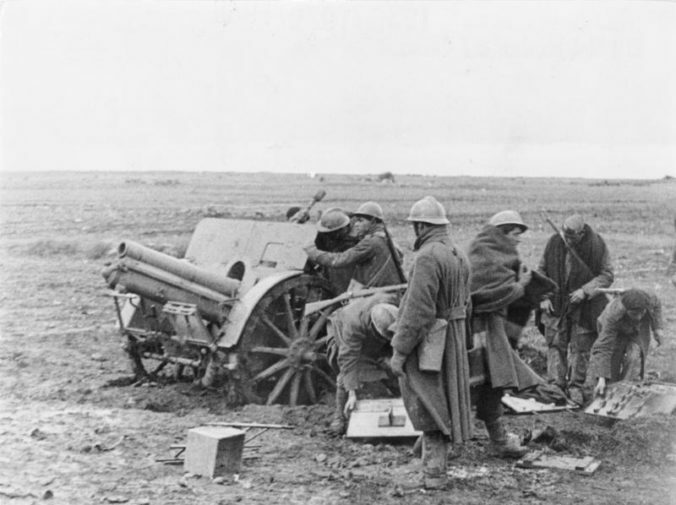 The epic Grand Campaign game of MtV/OT by Todd Jahnke reached May 1917 this Summer, with the Allied pounding furiously at the southern coust of Austria-Hungary while burning through their equipment at the Western Front. As usual, you find the reports for May I and May II in the Archive. Thanks to Todd, and enjoy your read!